Corkey Sinks (b. Dallas, TX) is an artist and designer based in Memphis, TN. Sinks received a BA in Media Studies from the Johnston Center for Integrative Studies at the University of Redlands, CA in 2005 and an MFA in Studio Art from the School of the Art Institute of Chicago in 2012. She views her work as a form of secular meditation. Embracing the human tendency to divine meaningful patterns within the noise of collective information, Sinks straddles research-based and intuitive modes of production. Her work generally explores themes of paranoia, obsession, and healing, often referencing utopian philosophies, textile traditions, folklore, political and new religious movements, and the supernatural. Sinks has exhibited work throughout the United States, Mexico, and Austria. In 2015, her book, Demon Baby Project: Events, Coincidences, and Repercussions was published by No Coast. Corkey Sinks and Jesse Butcher are co-founders and curators of Walls Divide Press, a small press producing zines, artists' books, and multiples. 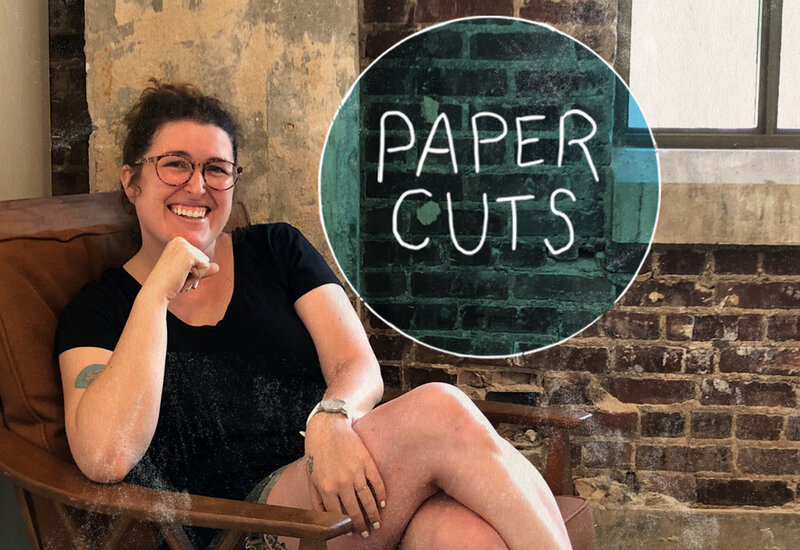 In addition to publishing zines, Walls Divide Press also organizes events, performances, and mini zine fairs out of their Memphis home and studio. Walls Divide Press welcomed it's first Artist-in-Residence in the spring of 2017 with plans to continue the program. Sinks is curating an exhibition titled Extension: Artists' Books, Prints, and Zines that will open at Dixon Gallery and Gardens in the fall of 2018.